As Director of the Yorkshire, Humber and North East Spoke of the National HE STEM programme, Dr Nazira Karodia experienced the importance of outreach grounded in the values of social improvement, generating equality and offering equal opportunity. 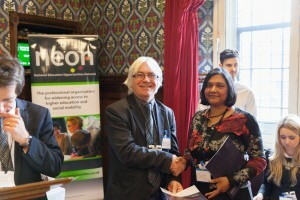 Nazira continued this valuable work through the University of Bradford’s “Building STEM at Bradford” Programme. STEM at Bradford is a flagship programme, working in partnership across the region to raise attainment and aspiration in STEM. The legacy is a sustained STEM team based within the University of Bradford and, led by Nazira, delivering innovative outreach and curriculum support to drive up STEM achievement at all levels.